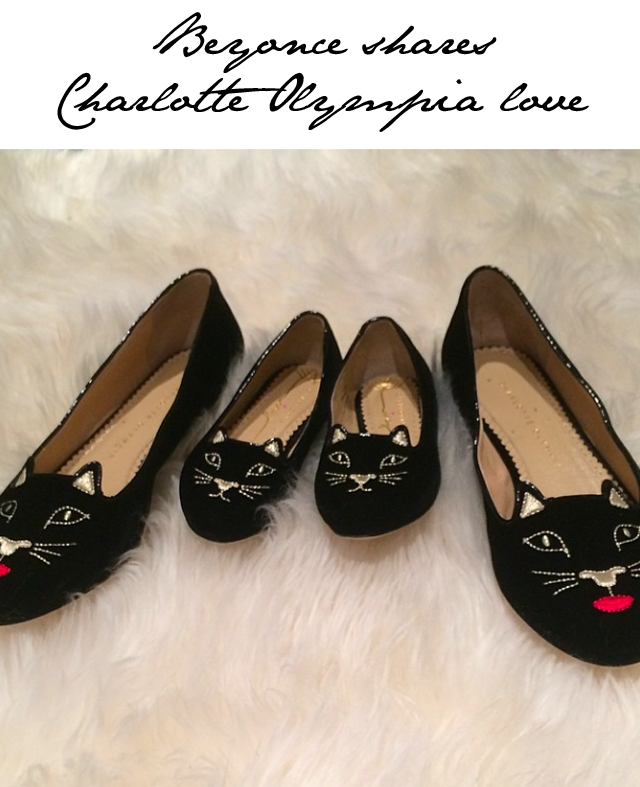 Beyonce took to Instagram today to share a sneak peek at a known obsession - Charlotte Olympia kitty cat flats. We've seen Beyonce in the flats before, but we had no idea that her shoe obsession was passed down the next generation. From the picture, we gather baby Blue Ivy has a matching pair of Charlotte Olympia flats. Either that or Jay-Z has some incredibly tiny toes. Honestly, who doesn't love a bit of Charlotte Olympia? Loving the style, Beyonce, and we want a picture of you and Blue in the matching shoes!